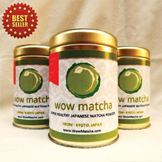 How is WowMatcha different from "regular" green tea? Does WowMatcha facilitate weight loss? How much can/should you drink per day? Where does WowMatcha come from? Why has it taken so long for Matcha to come to India? How does WowMatcha make you calm? What kind of scientific research is there on Matcha? WowMatcha is actually the entire tea leaf ground up to an extremely fine powder (approx 9 microns) and there is no "steeping" involved. When you drink Matcha you actually consume the entire tea leaf. 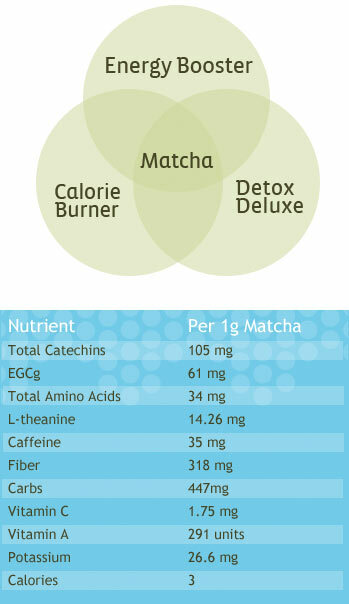 This is why Matcha is at least 10 times stronger than a regular "brewed" cup of green tea. In fact, a recent scientific study comparing Matcha to China tips green tea concluded that Matcha contains 137 times the amount of EGCG which is the most potent anti-cancer catechin found in green tea. Only the very youngest, greenest and finest leaves at the tip of the tea plant are used to make Matcha, thus its extreme potency and high quality. The leaves are dried and then pulverized using specialized granite stone grinders. This exquisite emerald green powder has been coveted for centuries by Japan's royalty and religious elite, and was reserved for only the very wealthy due to the extremely high cost. This potent drink is now available to the North American market due to vast improvements in manufacturing efficiency which have lowered the cost of Matcha considerably, making it finally accessible to the mainstream market. A recent publication by the American Society of Clinical Nutrition reported that regular consumption of quality green tea improves the efficiency of energy use in the human body. Through in vivo studies, the study ascertained that the daily energy expenditure rate of adults increases 35-45% with regular consumption of green tea. This finding is particularly interesting because the increase in calorie burning related to green tea consumption was not accompanied by an increase in blood pressure, which is the unfortunate side effect that comes with many weight-loss pills. 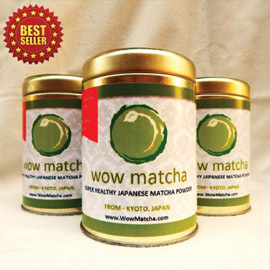 WowMatcha is a very potent drink, however everyone has an individual response to it due to our unique physiologies, thus consumption amounts will vary. The average consumption is 1-2 cups a day; that is equivalent to about 10-20 cups of regular green tea! Most people like a cup in the morning to "rev" them up, and then a cup in the afternoon to "perk" them up. There is no known overdose or "toxic" level of Matcha ; it can be consumed as desired, like regular tea. The tea plants (Camellia Sinensis) used to make WowMatcha are grown, Japan where the arable land is specifically and carefully suited to growing these precious plants. A typical tea plant takes 10 to 15 years to come to maturity and when ready, the plants are covered by bamboo shading 4 weeks prior to harvesting. This causes a surge in chlorophyll production resulting in very green leaves. Only the youngest, freshest, softest leaves at the tip of the tea plant are used, and these tea leaves are harvested, inspected, and ground into Matcha at the manufacturing facility before being shipped in vacuum packed containers to India. Matcha is a ceremonial drink that has been consumed in Japan for almost 1000 years, mostly by the royal family and religious dignitaries, including the renowned Zen Buddhist monks who meditated for hours while drinking Matcha tea. Thus the name WowMatcha. Matcha has the unique properties of maintaining mental alertness while simultaneously calming down the nervous system and increasing alpha wave output from the brain. This is ideal for sustaining a meditative but awake state of mind. Due to its elite reputation and high price, Matcha has been prohibitively too expensive for the Indian market until recently. Select manufacturers have now streamlined the process and thus decreased the price significantly to make Matcha more widely available. Based on literally thousands of clinical studies that have been conducted over the past few decades on green tea, there seems to be no serious concerns or contraindications associated with Matcha or green tea in general. However, as with any new food substance, it would be wise to consult a physician if there are any serious concerns regarding its consumption. Matcha does contain caffeine, in fact one cup of matcha contains approximately the equivalent amount of caffeine as a cup of regular coffee (75 mg). However there is a key difference with regards to how matcha caffeine impacts the body. The caffeine in matcha is assimilated and absorbed very slowly (over 6-8 hours), a huge difference from the quick 30 minute energy spike with coffee caffeine. This results in a long and sustained energy boost, which is noticeably different from the coffee "jitters". Also, the large amount of catechins in matcha slow down the release of caffeine into the bloodstream. As a result, there is no blood sugar spike, insulin increase, or release of the stress hormone Cortisol, as with coffee caffeine. Matcha can actually help stabilize blood sugar, and reduces stress on the adrenal glands. Lastly, the calming amino acid (l-theanine) found in Matcha has a counteractive effect to caffeine, and induces a considerable increase in alpha waves in the brain which impart a meditative and blissful state. In summary, matcha is a safe "delivery system" for caffeine. All the energy benefits are obtained without the negative side effects. It is truly energizing wisely! There is a very unique amino acid found only in green tea called L-theanine. This amino acid is found in particularly high amounts in Matcha, and it is responsible for the powerful "calming" effects of Matcha. In fact, L-theanine is such a potent "anti-anxiolytic" or calming agent that it is now being formulated in capsules and sold in health food stores as a natural valium. Studies have shown that L-theanine significantly increases the output of alpha waves by the brain. Alpha waves are responsible for the deep, peaceful, calm feeling that is imparted by meditation, yoga, deep relaxation etc. This is why Matcha was so popular among the Buddhist monks years ago during their rigorous meditation sessions. Clinical research on green tea has been going on for decades, and these studies are now beginning to show some remarkable potential health benefits. Matcha tea specifically is the subject of much clinical research in Japan, but not so much in the United States due to its recent introduction. However, since the introduction of Matcha to the western medical community, research surrounding this unique variety of green tea is beginning to attract a lot of attention. One of the most recent published studies on Matcha came out of the University of Colorado in 2003, and the study showed Matcha to contain 137 times more of the anti-cancer substance EGCG, than regular China green tips, brewed green tea. In another British study, EGCG was found to be such a powerful anti-carcinogen that an entire new family of cancer-fighting drugs is being developed based on the EGCG molecule. The results of these ongoing studies are a solid testament to the potent health-giving properties of Matcha. 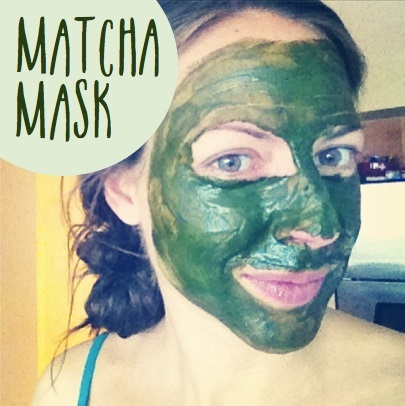 Drinking Matcha makes you feel good... and feeling good can be addictive! However, there is no evidence that Matcha causes a coffee-like addiction, or that there is any kind of withdrawal effect if Matcha consumption stops.